Who needs the Oregon Boater Education Card? All operators of motorized watercraft over 10HP must have an Oregon Boater Education Card. All powerboat operators are required to take an approved boating safety course and carry their boater education card when operating a powerboat greater than 10 hp. You must be at least 12 years old to operate a powerboat in Oregon. 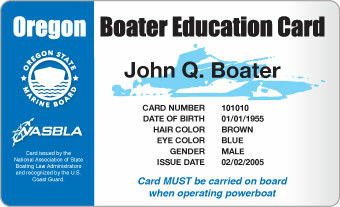 Youth 12-15 years of age need a boater education card to operate powerboats between 1-10 hp alone. In Oregon, no one may operate a motorboat if they are under the age of 12. Operators of powerboats greater than 10 horsepower, and youth 12-15 operating any size powerboat, are required to take a boater safety course on basic boating skills and/or pass a test to demonstrate basic boating knowledge. Upon successful completion of the test, the Oregon Boater Education Card can be obtained and must be carried on-board while operating. Youth 12-15 years of age need to carry the Oregon Boater Education Card when operating boats 1-10 hp alone. When youth 12-15 years of age operate a powerboat over 10 hp, they must carry the Oregon Boater Education Card on-board AND a Card-holding adult (16 or older, 18 for personal watercraft) must be on-board in direct supervision. PWC operators in Oregon must be at least 16 years old. Operators must have proof of successful completion of an approved Boating Safety Course. A Card-holding adult (18 and older) must be in direct supervision on the PWC when anyone 12-15 years of age is operating. 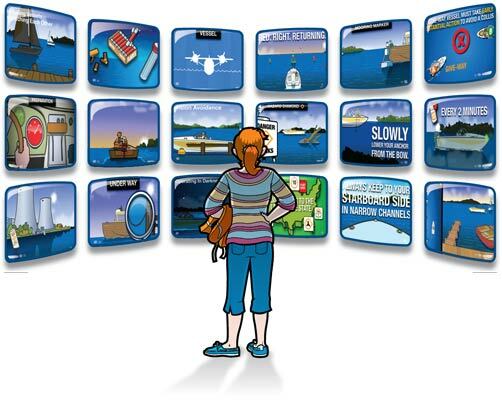 From laptop to mobile phone to tablet, choose when and where to take your boating course and get your Oregon Boating Card. 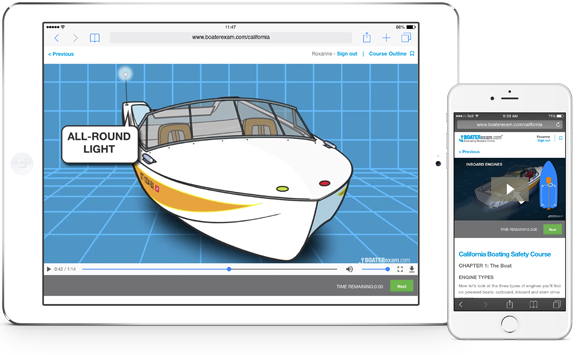 Our Oregon boating license course features hundreds of rich engaging boating videos and animations. That means you aren't just reading: You're watching, listening and learning. This official Oregon boating safety course is approved by the State of Oregon's State Marine Board.